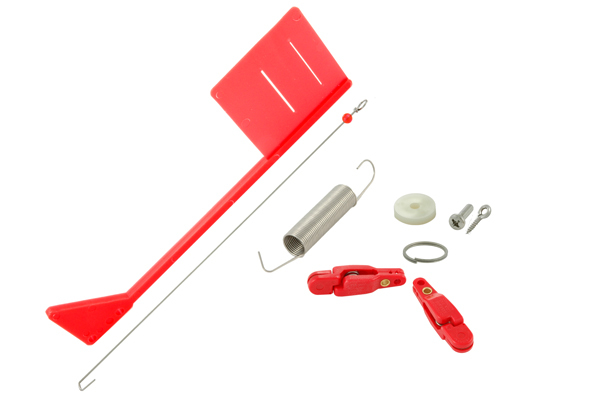 Each kit includes flag, two OR16 clips, wire, spring, washer, screw eye, split ring, 6/32 screw and instructions. One kit will upgrade one OR12/OR31 Side Planer. This item is ideal for light biting fish. The flag will pull down when you have a fish on or if you are fouled in weeds.